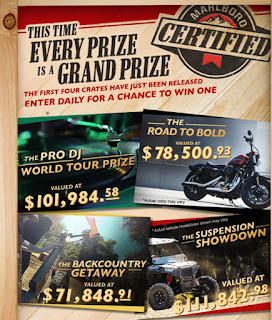 Marlboro Huge $42.000 Cash Giveaway - 11 Winners Get a Choice of $42,000 or a Huge Prize Crate Valued at $40,000 to $111,000. Daily Entry, Ends 10/21/18. Void in MA and MI. GOOD LUCK! !